We followed the smiles and waves of the park guides in neatly ironed white uniforms and rounded the bend into the basement carpark before disembarking for Shiroi Koibito Park in Sapporo, Hokkaido. It was funny how I’d known about the Shiroi Koibito biscuit before I knew anything else about Hokkaido – it seemed to be the ultimate souvenir that friends would bring back from Hokkaido, and with good reason, considering that ever since I’d tasted it, I couldn’t stop craving the light thin biscuit with a skinny block of white chocolate wedged between. The lift opened into the main store, and straight away I felt like I’d stepped into a fantasyland of sorts, with (what I now recognised to be a distinctly Japanese touch) tinkling music and chocolate and candies in colourful wrappers everywhere, including giant standing lollipop decorations. A grand-ish staircase descended from the second floor on the right, and straight ahead, stood a ferris wheel around which children had gathered, slotting coins and taking turns to hit a button which would spin the wheel and drop a piece of candy from the lowest bucket when it stopped. 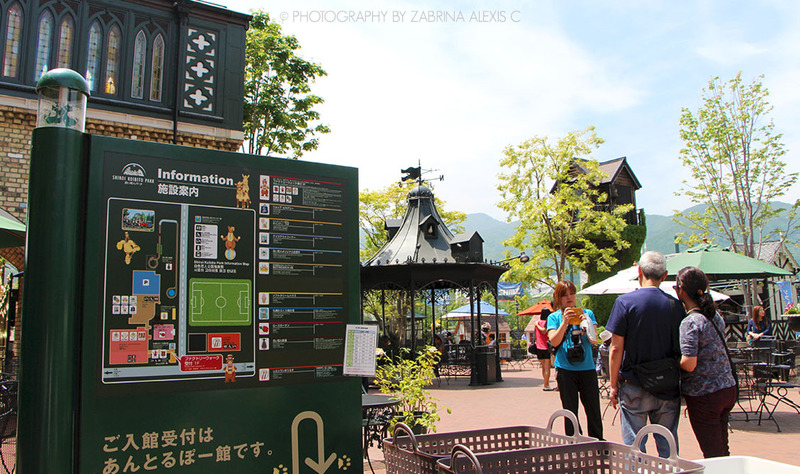 Once outside, the Shiroi Koibito Park reminded me of disneyland with its castle-like exteriors and gardens full of the most colourful flowers and little water features, including cherubic sculptures peering out from random places. 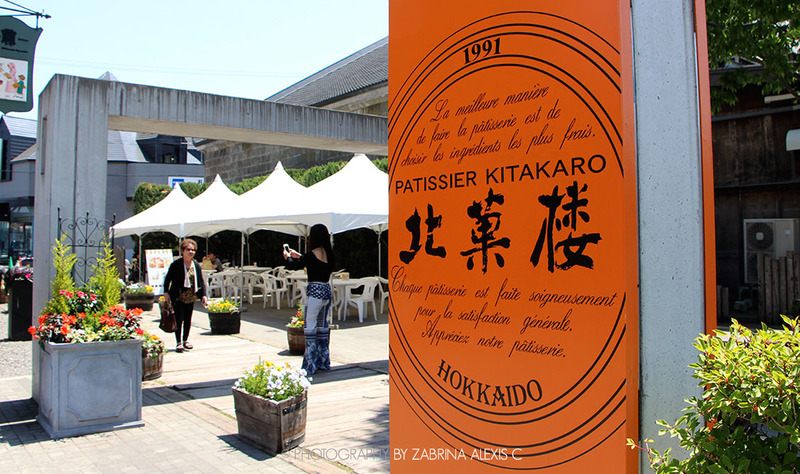 We stepped into the shade of the building to commence our tour of the Shiroi Koibito Park, and were each handed the awesome biscuit at the entrance. I’m not a huge facts junkie, so the details of the making of the biscuit wasn’t all that fascinating to me, except when the trail opened up and ran by the actual production line. 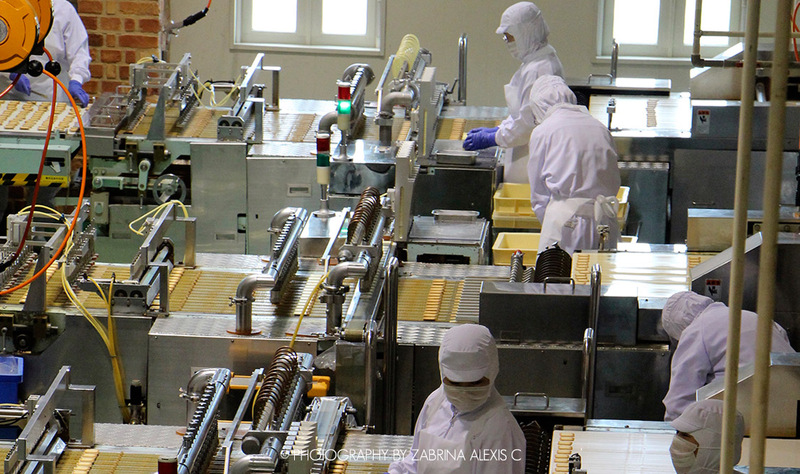 I stood for a good while watching the Shiroi Koibito biscuit get pushed out from the machine, sandwiched together, sorted, and packaged, all within a few meters. I couldn’t help but focus on the workers picking out imperfect Shiroi Koibito biscuits near the end of the line, wondering what they did with the rejected biscuits- and daydreamed about them giving it all to me. Oh god. 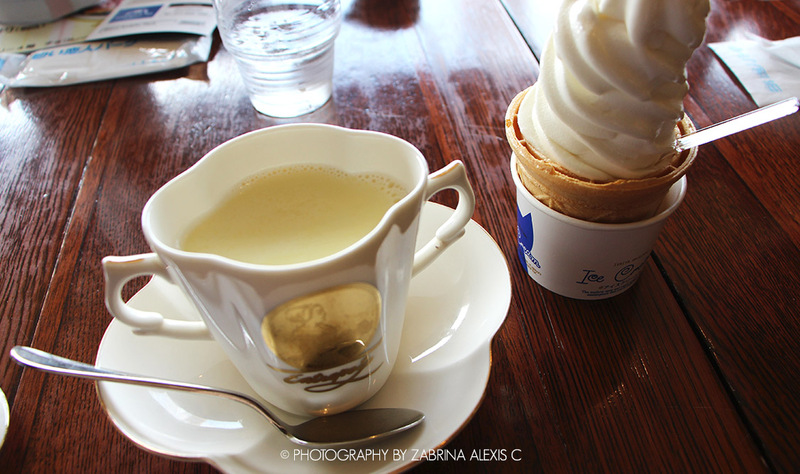 It was so good – the ice-cream was so creamy, milky, soft, and just melted away in the mouth. The White Hot Chocolate was good too, and was something my cousin had been raving on and on about in anticipation throughout the trip. I thought it was really delicious, but the good news is, when I tasted it, I immediately pinpointed a “dupe” in my favourite Luxury White Hot Chocolate from Whittard’s in London, which means that for everyone who hasn’t had the opportunity to visit Shiroi Koibito Park, you essentially get a taste of Japan if you can get yourself some Whittard‘s. 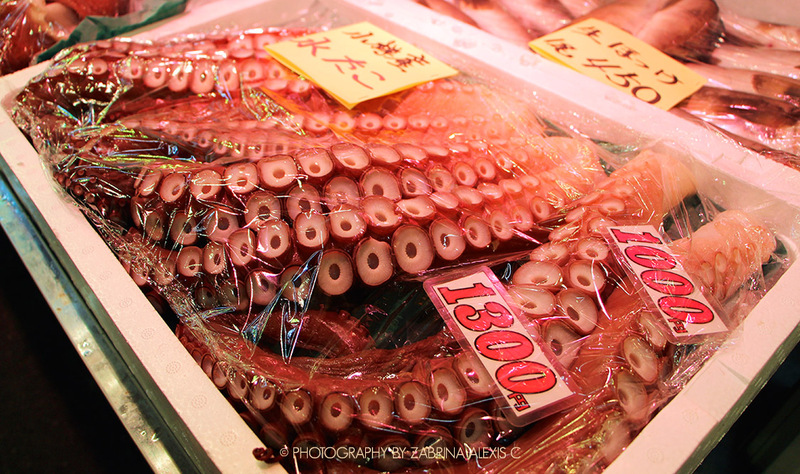 We made a stop by Otaru’s wet market in the late morning to check out their range of fresh seafood. 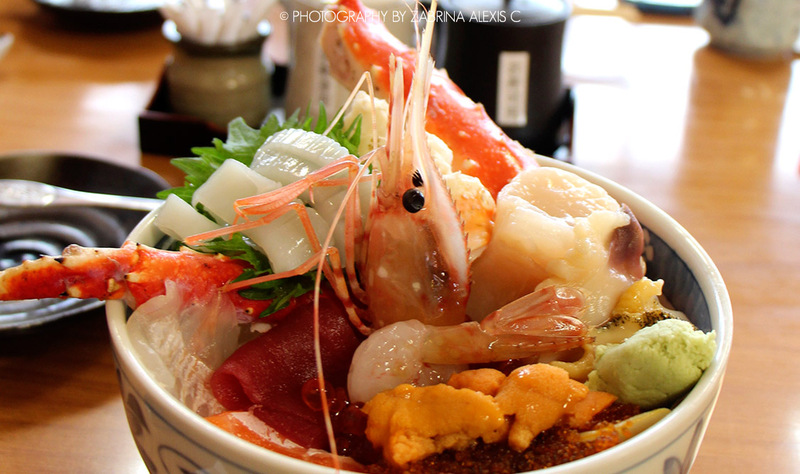 Being a seaside town, Otaru’s streets are lined with restaurants and shops selling seafood in various forms – from live to dried to fresh cuts served with don. 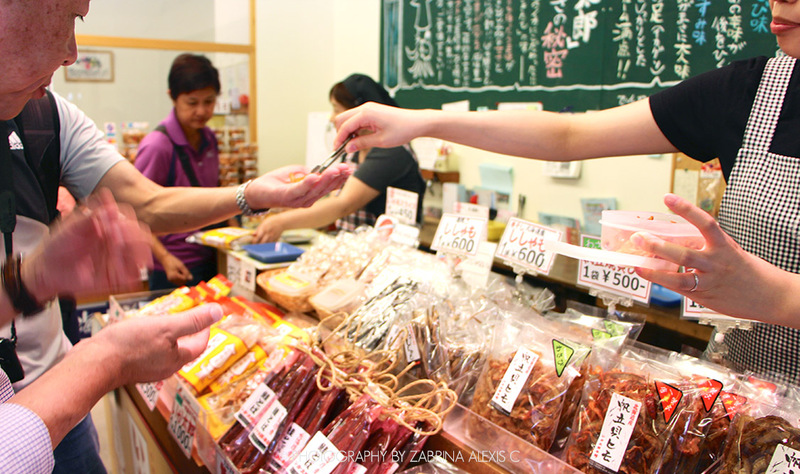 Otaru’s wet market was smaller than Kushiro’s Washo market but better, with fresher seafood and great value. The stall owners are a lot kinder as well, perhaps due to lesser competition, and even took the time to explain the different catches and fantastic sea creatures. I walked down the length of the market armed with my DSLR, trying my best to capture as much of the colour as possible. 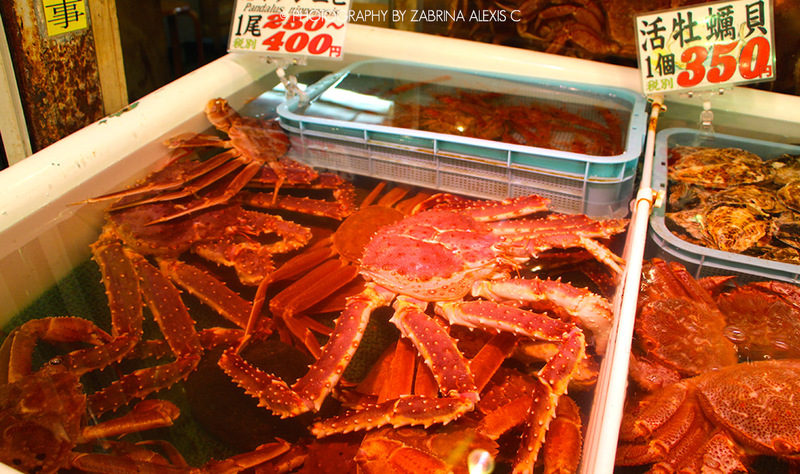 One of the shopkeepers saw me pointing and commenting on the giant crabs in my video, and without hesitation, lifted the entire crab out of the tank and said, “Yes it is hu-ge!” Haha! 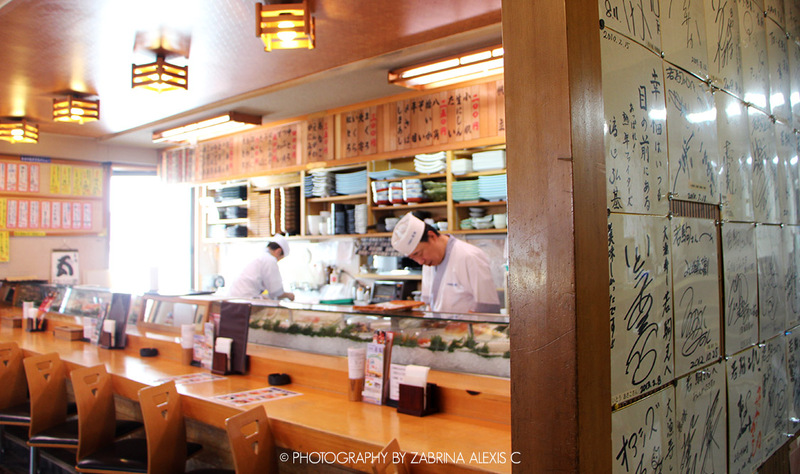 – often it’s really the locals that really make the place even more memorable. 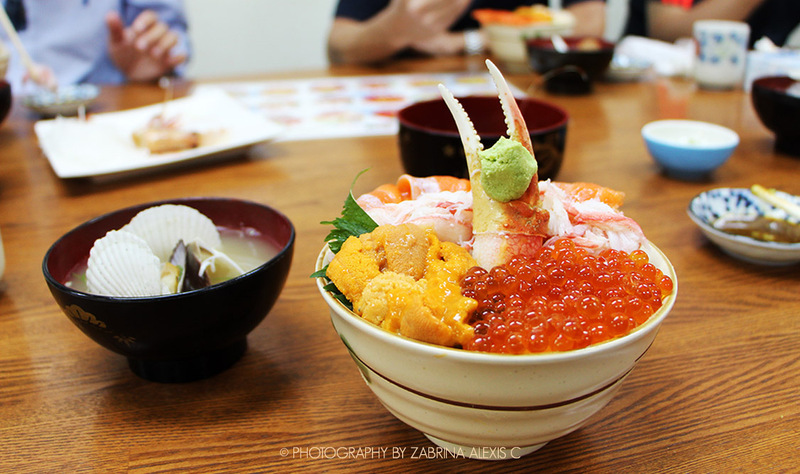 He gave me a pinch of uni to taste before we eventually sat down to enjoy a Major seafood meal. 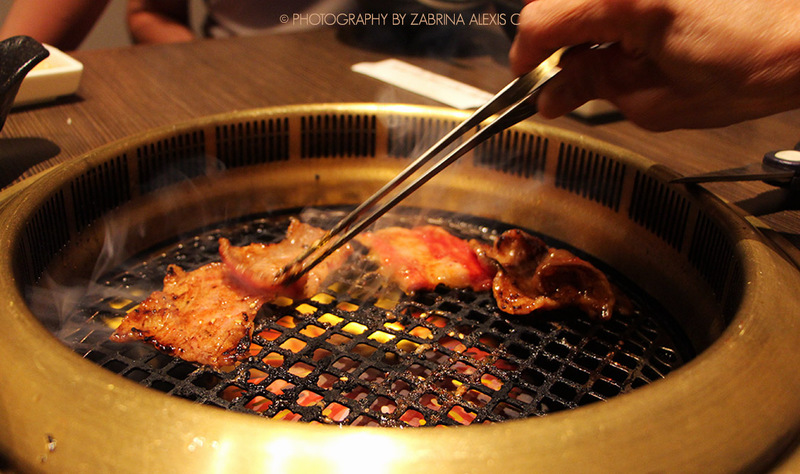 Otaru has become a special memory for me. 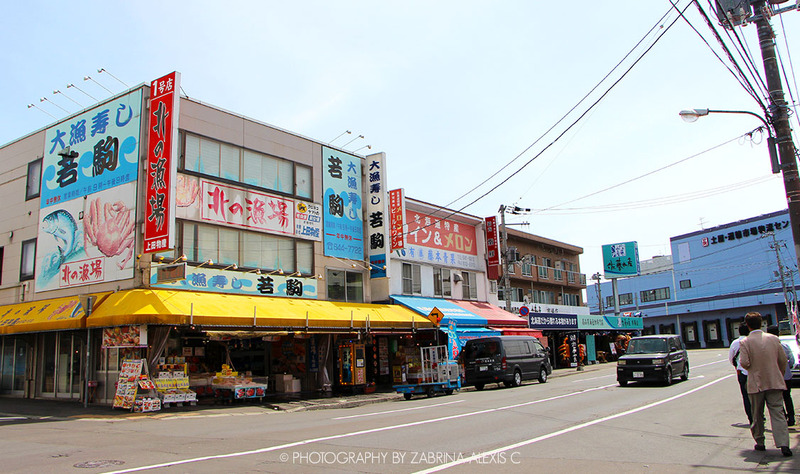 The tinkling music in LeTAO and the Orgel Museum transported me into a Disneyland of sorts, while the abundance of food places along the street and souvenir shops kept it real by singing with wonderful aromas and displays of kawaii toys, telling me that indeed, “This is Japan”. 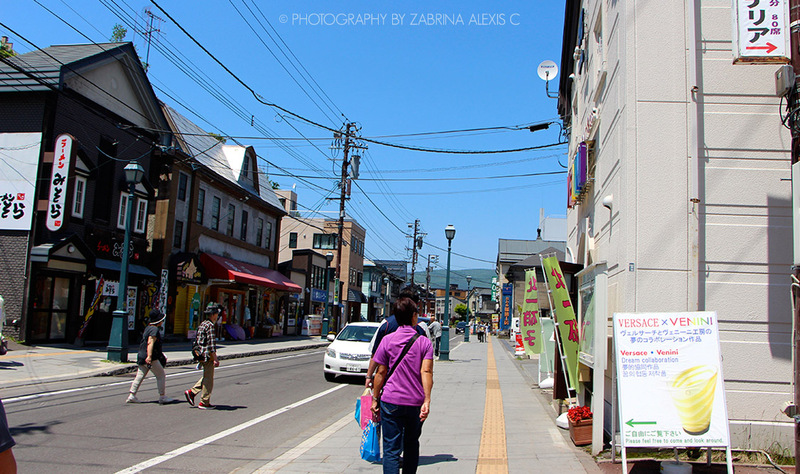 I managed to capture some of my experiences in this charming town of Otaru, so come along and take a walk in the town with me! I remember waking up to this scene in the morning- watching as yachts slowly sailed out of the marina to sea, V-shaped ripples trailing in their wake. Once I escaped the veil of slumber, I excitedly sat up and pulled out my now-crumpled sheet of itinerary to see which stops I’d planned out for the day. Otaru, about half an hour’s drive northwest from Sapporo, has a small town kind of feel – we would walk along its wide, clean pavements, and make stops every few steps or so along the rows of shops, full of the most tantalising displays of chirashi don and fresh sashimi one moment, to dried seafood shops and souvenir shops the next. I guess part of the charm of Otaru was derived from not really knowing what might be stumbled upon. 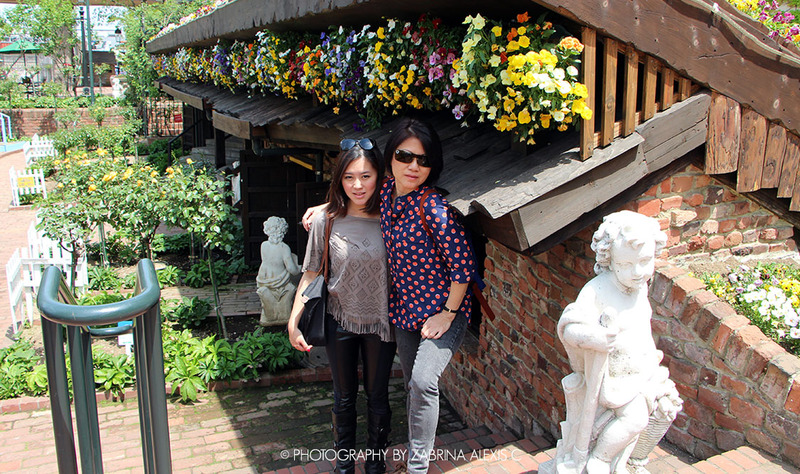 Full of historical buildings and some of the most incredible dessert shops, the town was bound to be full of pleasant surprises. 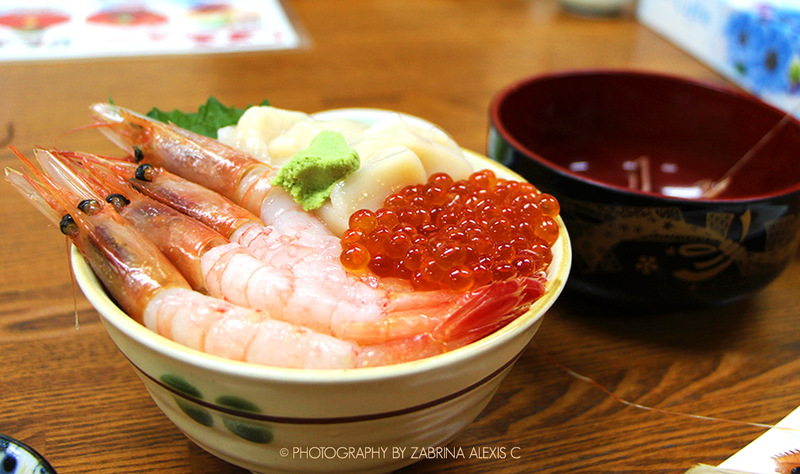 A day isn’t long enough for Otaru, especially if you have an affinity with food like I do. 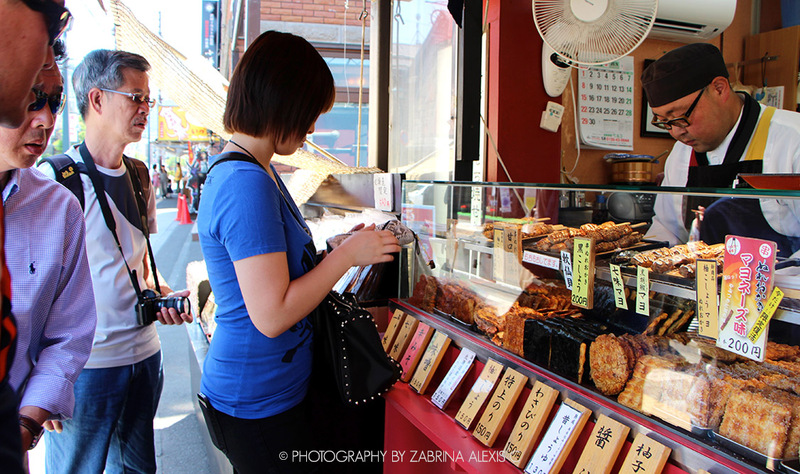 We would walk into glorious clouds of mouthwatering smells and be seduced by stalls selling a dazzling array of- very good, might I add- food with samples generously being offered to you as you stroll down the street; there’s no way anyone could go hungry in Otaru. And through the centre of it all, lay the beautiful Otaru Canal (小樽運河, known locally as Otaru Unga; featured picture)- a quiet, gentle body of water, mirroring the façades of the low rise buildings standing alongside it, delicately covered in a vibrant green, and also the clear blue sky. In the late afternoon, after hours of walking about, I’d sat by the canal on a cold stone bench, fleeing the sun for a moment of rest, and thought about how perfect this town seemed to be. 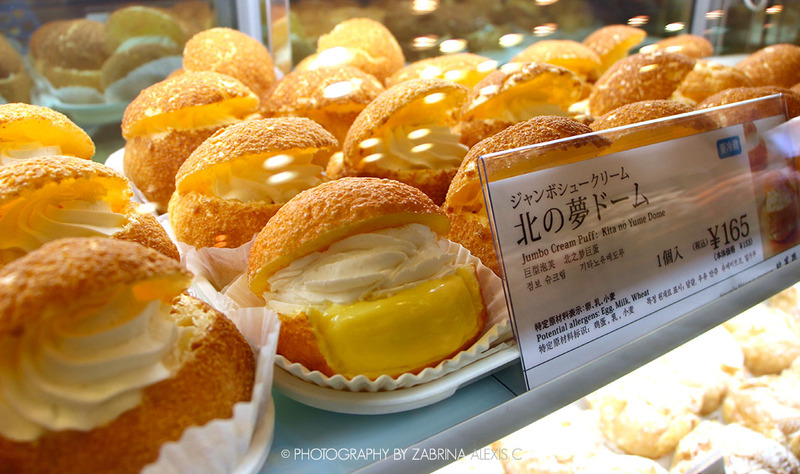 I’d read about Kitakaro (北菓楼) – in particular, about its amazing creme puffs. 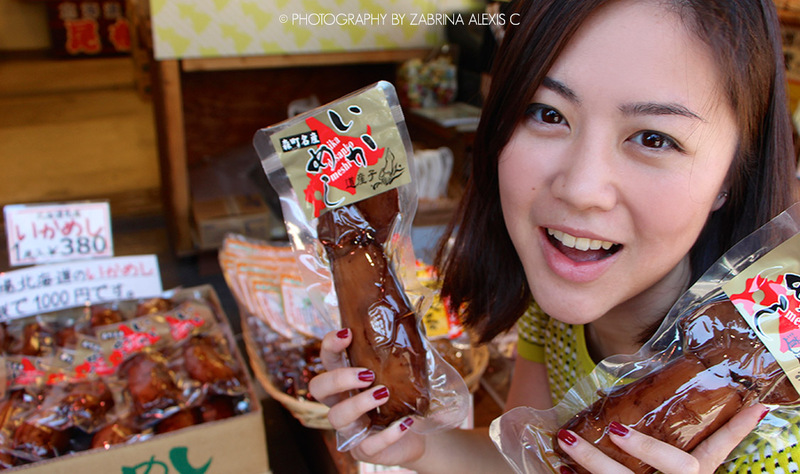 Like the others in Japan, Kitakaro sells more than creme puffs, and has a range of beautifully packaged snacks and items which you can take home for gifts. Besides the creme puffs, they sell a variety of heavier cakes as well. 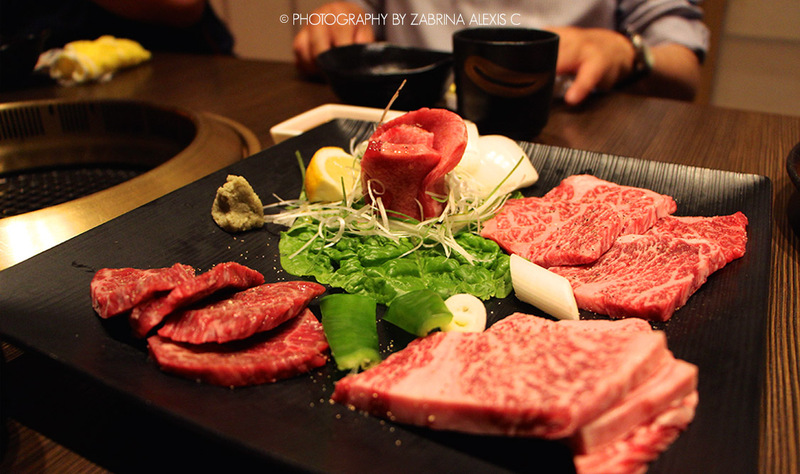 In Otaru, Kitakaro is just slightly further down the street from LeTAO, on the same side of the road. A building of grey slate, it would’ve been easily passed up if not for the bright orange signs on all sides of its entrance, the standing sign by the pavement, and the posters of ice-cream and baumkuchen. The creme puffs are under $2 – they’re huge, full of generous filling, and well worth the money. I tried the baumkuchen as well, and it might be that I’m not a baumkuchen fan, but I couldn’t quite appreciate it beyond thinking it to be some form of kueh lapis (an Indonesian layered cake that is relatively common in southeast Asia). I spent more money on the items at LeTAO, but I saw people coming out with Kitakaro bags, so I suppose you’d best budget for a couple of $10s. Everything else was quite ordinary, and I think you could find comparable items in the other dessert shops. If you don’t have time, just head straight to the back of the shop where they have shelves full of their creme puffs and buy one- or two. The puffs were well-aerated and pillowy, and the cream was light and fluffy with just the right amount of flavour and sweetness. Trust me, you won’t regret it.